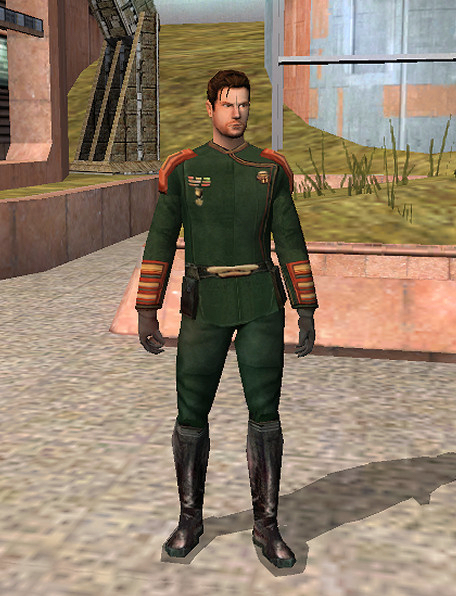 This removes that hideous red nightmare armor Obsidian saw fit to dress Carth up in and either puts him back in his original clothing or in a brand new admiral's uniform, depending on the scene. Seriously, what were they thinking? Unzip this file to your hard drive and run TSLPatcher.exe. When prompted, select your LucasArts\SWKotOR2 folder (not your override folder). Thanks to Fred Tetra for the KOTOR Tool, and to stoffe -mkb- for the TSL Patcher. Star Wars Knights of the Old Republic 2 is property of LucasArts, Bioware, & Obsidian Entertainment. No copyright infringement is intended. 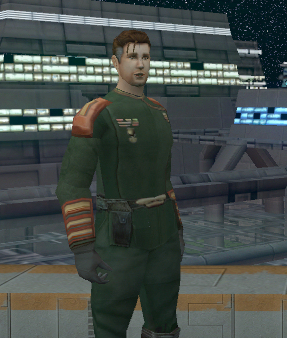 v2.0 Fixes some model conflicts with my Selectable Carth mod, and fixes an "Oops, hadn't played it that way before!" 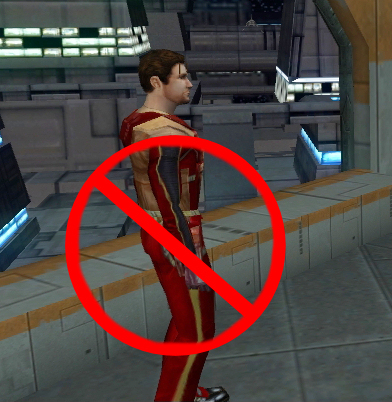 oversight that put Carth in his Admiral's uniform in a holo that was recorded during the Star Forge mission. v2.1 Added compatibility with Princess Artemis' "New Admiral Onasi Ages" mod.